In last week’s edition of novus we discussed how Facebook would be giving more of the News Feed attention to friends and family, rather than to publishers. Snapchat then decided to do the exact opposite, and make publishers one of their main priorities in 2018. Snapchat is still a big player in the digital ad space, so you should keep a close eye on how marketers use this platform to reach and engage with their audience. Snapchat is really looking to grow in 2018 and one of the ways they want to keep people in the app longer is by having media companies make tv-like shows that are exclusive to the platform. You may be thinking, “is my audience on Snapchat?” and the answer to ALL of you is yes! Remember when people around the office used to ask “Where should I go for lunch?” or a question about everyday products? Those days are essentially over as people shift to Google to seek advice. Search terms with the qualifier “for me” have grown over 60%, which means people are looking for detailed information and advice on goods and services, and moving away from asking their friends for suggestions. Your potential donors are no longer searching terms like “nonprofits helping children” or “organizations helping third world countries?” They want details that are specific to them, so they are now searching “what should I look for in a nonprofit to donate to?” or “nonprofits helping hurricane relief in Haiti” Our advice: create blog posts with titles that are similar to what someone would search. If a prospective constituent searches “How can I make a difference in Haiti” and you have a blog post titled How you can volunteer and contribute to the hurricane relief efforts in Haiti, then you’re much more likely to see an above average number of clicks. Writing is no easy task – you have to first be a good writer, then you have to have an interesting topic to write about, and lastly you need to feel inspired. The last two can sometimes feel completely out of your control, so what do you do? Here are 5 Creative Strategies to Stay Inspired to Write All Year. 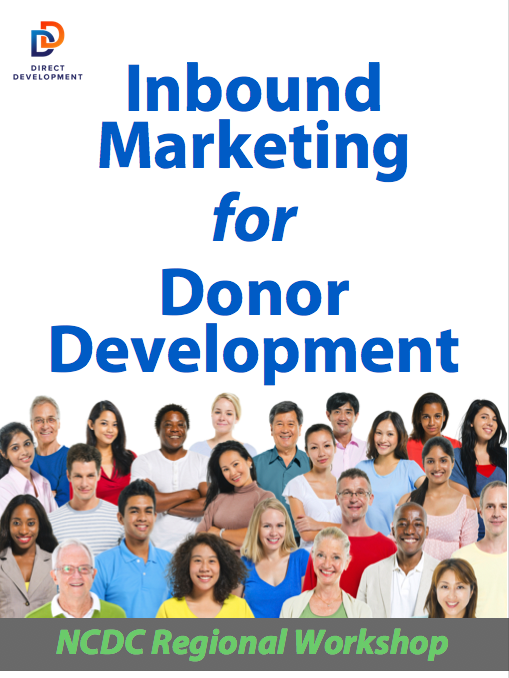 Quite simple – if your content is boring and unoriginal, potential donors will see that as a reflection of your organization. Create content your audience wants to read and share, promote your content to new audiences in hopes of building on your current audience, and don’t feel confined by what your nonprofit has been doing year over year – you’ll never grow by retracing your steps from the previous year.